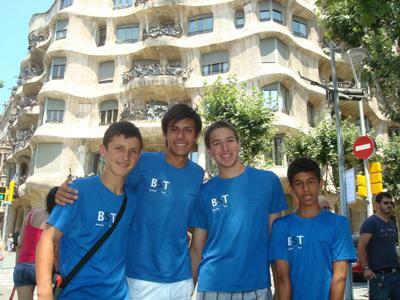 Barcelona elite soccer camp is a unique 14 days camp for players who want to experience an intensive soccer training in Barcelona at exclusive professional club's facilities. 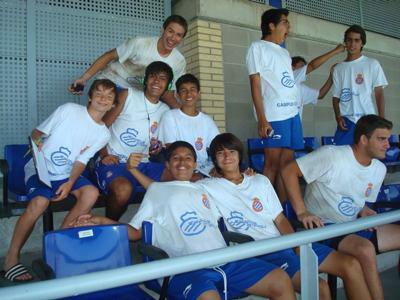 This elite camp is based on a three high demanding training sessions per day during two weeks, from Monday to Friday. That is a total of 50 training hours. The scouting staff from RCDEspanyol of Barcelona will be on site evaluating players and making direct contact with potential professional players. In addition to this, participants will enjoy doing soccer workshops, sightseeing city tours and visits to amusement parks on weekends! This elite camp is carried out in collaboration with the RCD Espanyol of Barcelona, one of the two Barcelona's professional teams with more than 100 years of experience. I like the way of providing facilities, with these kind of facilities and opportunities, young kids can show their talent as well. Check http://www.topessayservices.com/writing-services-review/ and share your personal thinking and feedback as well. Soccer is my favorite game, I think I am late on this post. Could you give any latest updates about the upcoming soccer events such as this? This is one of the best soccer guide that i have seen in a long time. it helped me learn new soccer tips. This website is full of guide line about soccer for youngsters.I really like this website a lot because it is very useful for them who want to get guide lines of soccer. What a great and interesting post that you have shared with us.I am really enjoy reading your post because its very unique information for me. Thanks a lot for the nice and wonderful website. It is awesome and I like it a lot. Keep it updated so people can share it more. It is just what I was looking for and quite thorough as well. Thanks for posting this, I sawhttp://www.proessaywriting.com/essay-paper/ a couple other similar posts but yours was the best so far. The ideas are strongly pointed out and clearly emphasized.